Choosing just the top 10 rowimg machine from the list of so many high featured rowers is really a tough task. Models from different fitness brands always had a close competition in this screening. 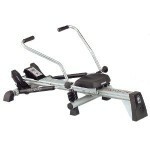 Toughtrain.com has listed the following rowing machines as the top 10 rowing machines of 2013 and the listing is purely based on customers feedback and reviews. The other criteria that are taken into consideration for preparing the list are like price, strength, durability, warranty, etc. There are many reasons for ranking this rowing machine to be number 1. This machine comes in a very reasonable price and has above than average features. It can be easily folded and can be carried any where comfortably. The console of this rower display your speed, distance travelled, time and calorie burned. 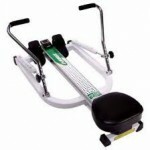 This is another very popular rower of Stamina fitness, highly appreciated by users. 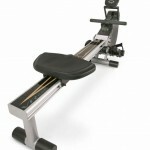 This rower with deluxe ball bearing rolling system has adjustable tension control. This effective rowing machine comes in a very reasonable price. The Kettler favorit rowing machine comes with two hydraulic cylinders and a comfortably ergonomic seat. It has a display board which displays all your workout details like time , number of oar strokes, speed of strokes, distance covered, and many more. 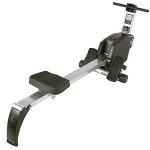 This rower has a weight capacity of 250 pounds and comes in a very attractive price. This is a perfect combination of rowing machine and recumbent exercise bike, which aims to keep your whole body fit. It offers you an opportunity to train even your bisecps and triceps. This versatile rower, having 8 levels of smooth and quiet resistance has a maximum weight capacity of 250 pounds and also comes in an affordable price. This amazing rower, driven by a quiet eddy current drive system, has a 16.5 pound flywheel. It can be easily folded and has a maximum capacity of 300 pounds. 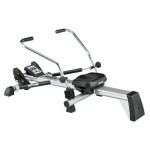 This rowing machine utilizes a combination of wind resistance and state-of-the-art eddy current resistance. The resistance increases as you pull harder, and vice-versa. Just like sculling in water. This affordable machine can be easily folded and transported. The Kettler Kadett Outrigger Rowing Machine is a German ergonomically engineered rowing machine. Its ergonomic design will not leave you sore or uncomfortable while using it. This roer helps you to er simulates actual water rowing, having resistance setting from 1 to 12. 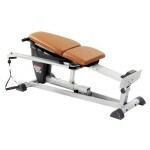 The Stamina Body Trac Glider 1050 is compact in size, making it ideal for fitness lovers who prefer to exercise at home. It helps to tone your lower arm muscles, upper arm muscles, thighs, buttocks, calves, abdominal and back muscles as well. This rower is very much attracted by its features like easy to fold, comfortable molded seat, oar-like rowing arms. This rowing machine has different resistance levels, which helps to fullfill all your fitness level. It is highly prefferd for its attractive features like molded polyurethane seat, foldable frame, different resistance level etc. The Phoenix 98900 Power Rower is also backed by superb warranty and also comes in a very reasonable price. The innovative design of ProForm Cardio Glide Plus helps you to tone your shoulders, back, chest and arms. 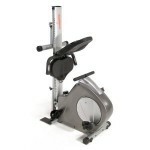 Its large LCD display allows you to track your cycles per minute, time and calories burned as you exercise. 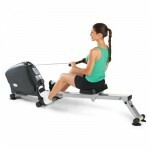 This rower comes in an affordable price.